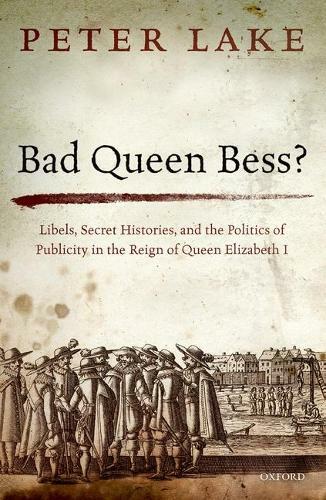 Bad Queen Bess? analyses the back and forth between the Elizabethan regime and various Catholic critics, who, from the early 1570s to the early 1590s, sought to characterise that regime as a conspiracy of evil counsel. Through a genre novel - the libellous secret history - to English political discourse, various (usually anonymous) Catholic authors claimed to reveal to the public what was 'really happening' behind the curtain of official lies and disinformation with which the clique of evil counsellors at the heart of the Elizabethan state habitually cloaked their sinister manoeuvres. Elements within the regime, centred on William Cecil and his circle, replied to these assaults with their own species of plot talk and libellous secret history, specialising in conspiracy-driven accounts of the Catholic, Marian, and then, latterly, Spanish threats. Peter Lake presents a series of (mutually constitutive) moves and counter moves, in the course of which the regime's claims to represent a form of public political virtue, to speak for the commonweal and true religion, elicited from certain Catholic critics a simply inverted rhetoric of private political vice, persecution, and tyranny. The resulting exchanges are read not only as a species of 'political thought', but as a way of thinking about politics as process and of distinguishing between 'politics' and 'religion'. They are also analysed as modes of political communication and pitch-making - involving print, circulating manuscripts, performance, and rumour - and thus as constitutive of an emergent mode of 'public politics' and perhaps of a 'post reformation public sphere'. While the focus is primarily English, the origins and imbrication of these texts within, and their direct address to, wider European events and audiences is always present. The aim is thus to contribute simultaneously to the political, cultural, intellectual, and religious histories of the period.